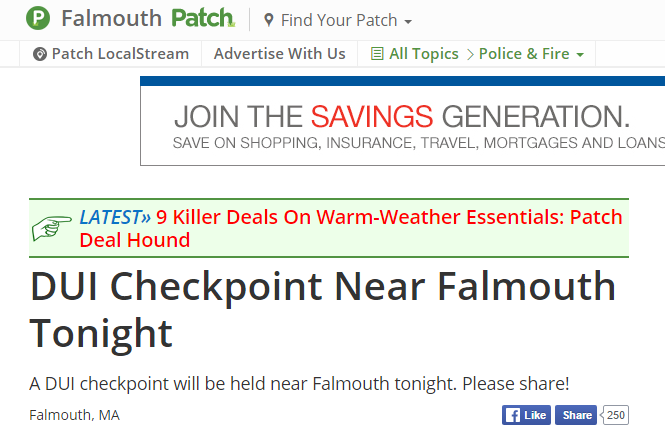 PATCH – A DUI checkpoint will be held near Falmouth tonight. Please share! A sobriety checkpoint will be held in Plymouth County tonight. State Police will conduct the checkpoint. 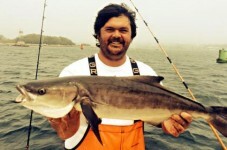 The exact location and time was not revealed, per State Police policy. Talk about your all time bait and switch headline. 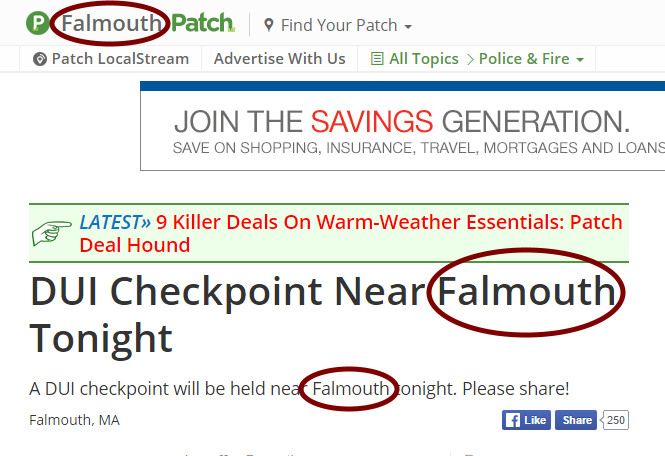 I guess the Falmouth Patch people were busy compiling lists about how if you’ve ever been to the beach once then you MUST be from Cape Cod! 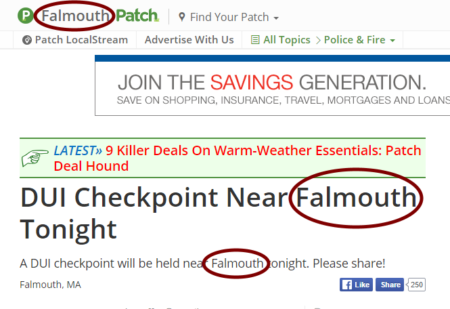 I guess they didn’t have time to realize that Plymouth County is not in or near Falmouth, nor is it on Cape Cod. Everyone should stop following these PATCH sites, they are a compilation of automated garbage. 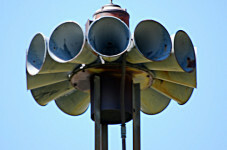 The last thing we need around here is some false alarm that causes the boozehounds to toss their Fireball nips on the side of the road at a higher rate than normal. I had to borrow a friends trailer to get them all out of my yard once the snow melted. They should really start putting tiny GPS units in those nip bottles. 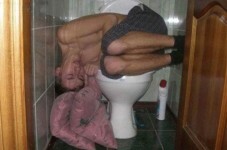 How great would it be to show up at some slobs house and when he opens the door just dump a bucket of empty Fireball nips on his head like some boozebag version of the ice bucket challenge for ALS. Here’s your nips back you littering shitbag.